Rated 5 out of 5 by Angelfish2012 from One of the best I have been playing this game for quite a few hours and I'm nowhere near finished. It's one of the best games I have played so far! I definately recommend this game! Rated 5 out of 5 by osmen2 from Amazing this game is playable for hours! Can't stop! Rated 5 out of 5 by LEIZAP from GREAT GAME! Great puzzles, great story, great music, and not too many HOG's (until the very end). I liked the adventure part of the game, very logical, not too much unnecessary back and forth movement. This game was so much fun I didn't want to stop...played it all in one afternoon! Rated 5 out of 5 by thesilverangel13 from Kept our attention long enough to complete! My mate and I spend our time playing these as a couple would play a board game! We love anything Hidden Object, and take turns playing the mini-games, and put our heads together to figure out the more difficult puzzles. Now, as for our opinion on Haunted Manor: Queen of Death: We love anything grim and challenging! This met all our needs from excitement to the wonderful hidden object searches. We aren't much for running from place to place figuring out what goes where to continue from room to room, but this had just enough well-balance that we didn't mind it. So instead of calling it quits from the frustration, we played it through to the end! I couldn't really tell you much of the story- we skip all we can. However, the graphics were smooth and the scenes were memorable! 5 stars! Rated 5 out of 5 by Ancientsymbols from Loved it! Awesome game, loved and enjoyed the whole game! 5 stars! Rated 5 out of 5 by briandg from Good enough. The best thing about the game is the high quality artwork. The story is good, and the scenes are well thought out. The puzzles are sometimes unique, and better than average, yet not extremely difficult. These games tend to become so tedious, eventually, as you move back and forth, over and over, hour after hour, just burning game time up. this one avoids that trap somewhat. Overall, a good game written for grownups. Rated 5 out of 5 by Myztikmee from very nice game., very enjoyable…Nice music….nice length. .I am sure it is harder if you do not play casual. I am kind of elderly and I just enjoyed it. I do not think it was to hard. I love the music. And very nice artwork.I had put off buying this one as I thought I would not enjoy it...but I did! Rated 5 out of 5 by Adele36 from Hidden Object Game That Has Everything! I couldn't stop playing this game. It was one of the best that I have played, and I play a lot! I wish I would have purchased the collectors edition, because I wanted to keep going. It wasn't too easy. I had to skip puzzles and use hints a few times. It is definitely worth the money. Rated 5 out of 5 by Carljamie from Truely addictive adventure from start to finish. I played the trial version and that was over before I knew it, straightaway I upgraded to the CE version because even though I have only been playing these games for a short time I like the Bonus at the end, this is like a special treat for finishing the game. Anyway on what was a rainy sunday afternoon I clawed my way through this game and I only regret that it is over already, I started the Bonus game but I have purposely left it unfinished to savour this a little longer. Fantastic game, Great Graphics and storyline, as someone said in another review "Bit morbid but well thought through" I would definately get the Follow up to this game. Rated 5 out of 5 by XenSpiderbrains from Loved it! This was a fantastic gaming experience! The graphics were fantastic, the storyline is unique, and the puzzles are fun. My only complaint is the repetition of the word "eeevil" that shows up frequently as one of the sound effects. After a while, it drove me nuts and I had to turn the sound effects off. No matter what, it's still a great game. Rated 5 out of 5 by Pikelet from A great all-rounder! I have just finished this game and thoroughly enjoyed it! There was no choice of level at which to play as with some other games and it and I felt that the level was just right for a pleasant game play. The puzzles were a bit different from the usual and challenging without being too easy or on the other hand frustratingly complex and long winded! 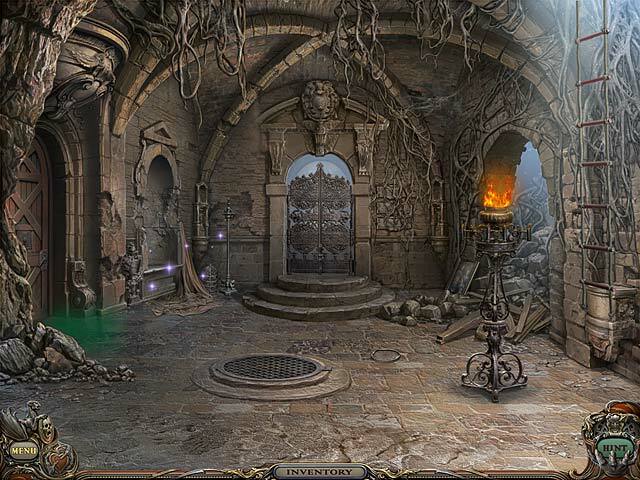 I also thought there was a good variety of puzzles along with hidden object. The graphics were excellent with a story line that flowed. I am already looking forward to the follow up! Rated 5 out of 5 by BONNIEDEE43 from Haunted Manor: Queen of Death This is one of my favorite games......difficult, but not too difficult....great graphics....good story line......hated to have it end! Rated 5 out of 5 by cfish56 from Worth the money I enjoyed this game very much, Just when you think this game is almost done you come across more, Very much recommended! Rated 5 out of 5 by Marcus150 from Excellent! This is one of the best HOG my wife and I have ever played. The art work, the music, the story line, are all blended into a game that is well worth being played. Can't wait for the sequel. Rated 5 out of 5 by carolinachick220 from Great HO/Adventure; very spooky This is a great game. The graphics are beautifully done and the storyline is interesting and spooky. Game length is worth the money. Music is OK - very repetitive. Puzzles are very easy, HOS are medium difficulty. Rated 5 out of 5 by ladydonna123 from Good game!!!! I really enjoyed this game, a lot. It was just right on the challenges. Rated 5 out of 5 by megwoman25 from A great game I LOVE this game. I love it so much that I didn't care that it had no choice of difficulty or that it didn't have voiceovers or that the hint system kind of sucked in most scenes as it stopped working when you missed a step along the way so Id be lost forever til I figured out what I didn't do but the story line was fantastic. I loved the originality of the game. Yes it had the save the souls kind of aspect but the possessed sister is a new one especially a twin sister. I enjoyed the house and all the extra rooms to explore and the length of this game is spot on. If I had bought the CE I would have been very pleased with the length and for a SE, it was great value. I loved that despite the sparkles, I got stuck A LOT and had to use my brain to decipher what to do next. I loved that it took me days to finish this game. I loved that it had things to collect at the end so you had to go through all the hidden object scenes again to retrieve the items. I LOVE games that do that because it wraps up the story and you can see all the places you have been and where you are now. I loved that just when I thought the game was over, there was another piece to explore. I loved that everyone stayed dead and didn't come back to life like the rest of the cheesy games we see. My only suggestion to developers is to please give us a difficulty choice as I would have loved to see a no sparkle mode but I just have a warm fuzzy spot for this game. Sad its over and can't wait to play it again someday soon. So good it makes me want to replay the first one which I loved just as much. Cheers developers for a great game! Rated 5 out of 5 by Gardendiva3 from What a blast! I loved this game. Challenging and some hard to find HOS scenes. Good story line, not as creepy as I thought it would be with that roving monster. I recommend this game! Rated 5 out of 5 by dylan_s from This game is one of the best out there! This game was really excellent! 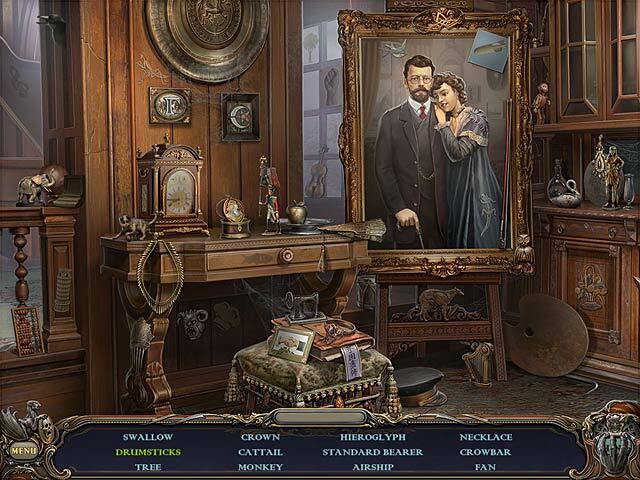 The puzzles, Hidden Object scenes, rooms and extent of the game were great. It's a decently long game, and although some people complain about having to go back and forth - for me, I like that! I like going back and finding new surprises, while still continuing to uncover new rooms and areas. The graphics and storyline were really good, and figuring out what to do and where to go was challenging. The scenes were really imaginative and interesting! For a non-Collector's Edition - this game was quite long and full - you won't miss the Collector's Edition at all! Totally recommend this game! Rated 5 out of 5 by gh0stdot from Very impressive artwork This is a really very impressively styled game with exceptional artwork, beautifully rendered with great attention to detail. In many HOS games it is possible to see which items have been 'stuck on' the background and click on half of them without reading the list but not here: everything is seamless. The sound is really rather good too, not just elevator music but adds to the mood. The difficulty of the game is quite well pitched: objects needed to launch minigames are logical but not so obvious that one can always predict the exact object that will next be given. The minigames are generally involving but not a huge mental challenge so should keep everybody satisfied (which is a difficult thing to do, I should imagine). I was imagining that the obvious time spent on the quality of artwork would mean it would be quite a short game but that is not the case. TE should be very proud of this game. Rated 5 out of 5 by moniekay from Great Game! The graphics in this game are amazing, very well done... The puzzles are complex and challenging. 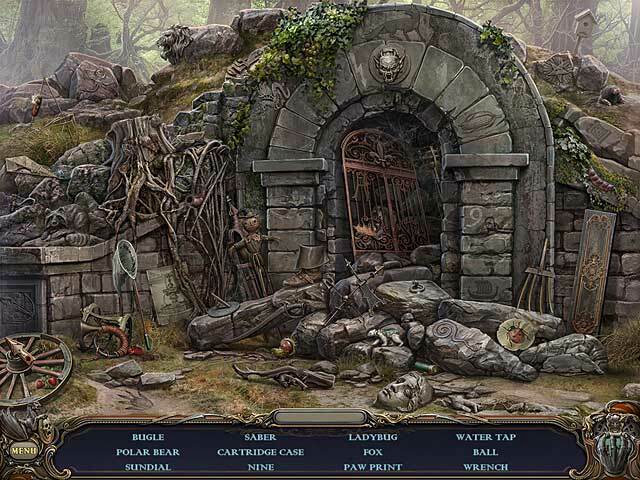 The hidden objects are rather easy but game play is very long and holds your interest. Rated 5 out of 5 by gryhndlvr from I finally made the jump I hesitated getting this game based on the trial. It seemed a bit gruesome and I wasn't too interested. After a few weeks I finally decided to buy it,based on some reviews. I like long games, and it was long. I truly enjoyed this game. Very much to do everywhere, lots of rooms and the minigames are a lot of fun and different from the usual. It is not a very hard game, despite the fact there is no walkthrough or journal in the SE, but you don't really need it. The story kind of leads you where you need to go, without making it too easy on you. Graphics are very nice and clear. It is really not too gruesome, just seems like it when you play the trial. I'm so glad I decided to go for it. Truly enjoyed the whole game and length of the game. Rated 5 out of 5 by TayMichellieJae from Amazing game, very fun and stimulating. The story line was the best! It was very fascinating and stimulating. I'd be willing to play it again. Amazing! Rated 5 out of 5 by eponym from Worth every penny This game was great! It was beautifully drawn and well paced. I was engaged from the very beginning and stayed interested throughout. The music was wonderful and well suited to the atmosphere. The blend of HO's and puzzles was spot on, with neither becoming tedious! My only regret was that I did not get the CE. So of course, I am wondering what I missed. Rated 5 out of 5 by CowboyDenver from Ghastly Fun Very enjoyable game with lots of HOS and good puzzles. There is an awful lot of traveling from screen to screen, and an interactive map might have been nice, but no big omission. One recommendation to Big Fish, though. I've seen this in other games too, and it is this: When a game is developed by a team where English is a second (or third or fourth) language, it would be good to have the HOS proofed by a native English speaker as the objects sometimes have a wrong name. That didn't stop me from enjoying the game, but it is goofy sometimes. Rated 5 out of 5 by tigerlily142 from Awesome Game Loved this game. I have the other Haunted Manor: House of Mirrors also, but I enjoyed this game as much or maybe even more than house of mirrors. I love the HOG games and this one didn't disappoint me. 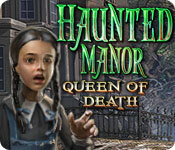 Rated 5 out of 5 by auntonion1 from Haunted Manor: Queen of Death I loved this game. The graphics were beautiful and the puzzles were just right. Some were actually hard enough that I eneded up using a hint, which I don't normally do. This game was totally worth the money. Rated 5 out of 5 by kmarshall70 from Good Creepy Fun I really liked this game,but it seemed to go to fast. Well worth buying. The sounds in the game kinda give you the willies. I liked that. Rated 5 out of 5 by lemonwhip from Highly recommended! This is the first game I would actually recommend that you buy the collectors edition. The puzzles are different to the usual ones, so therefore, a little more challenging. The soundtrack is actually haunting and I didn't feel the need to mute it at any point, the music fits the graphics very well. Try it. You won't be disappointed!